For non-surgical skin rejuvenation that leaves you feeling instantly refreshed and continues to subtly improve your appearance over time, micro-needling at Plateroti Dermatology may be right for you. 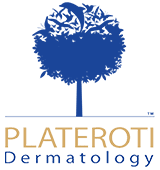 Serving Templeton and surrounding areas in California, Plateroti Dermatology is led by board-certified dermatologist Dr. Carmelo Plateroti. Contact us today to schedule a consultation and find out how micro-needling can improve your aging and damaged skin inside and out without any surgery or downtime. One of the most popular and least invasive methods of skin rejuvenation, micro-needling can improve the skin from the inside out using a clinically-proven process known as Collagen Induction Therapy. At Plateroti Dermatology, we utilize the system for micro-needling, which is one of the most trusted micro-needling tools worldwide. While micro-needling is primarily used on the face, it also has proven efficacy on the neck, decollete, arms, hands, legs, abdomen, and back. These treatment options can be discussed during your consultation with Dr. Plateroti and our medical team. During a typical micro-needling treatment, our medical team will move the automated device slowly across the skin on designated treatment areas. This medical device contains several tiny needles on a sterile, single-use treatment tip, and the needles are designed to penetrate the skin at optimal levels. This treatment creates nearly-invisible punctures in the skin that stimulate the skin’s natural healing process, promoting the production of essential skin building blocks such as collagen and elastin. As part of our system, we also offer micro-needling with hyaluronic acid at Plateroti Dermatology. The treatment process opens up the skin and improves its ability to absorb, and our patients have the option of having beneficial hyaluronic acid topically applied to help hydrate and volumize treated areas. We also offer this treatment with platelet-rich plasma, which can be discussed during your consultation. One of the main benefits of the micro-needling system is its ability to treat skin imperfections at the source without any downtime or contraindications. Treated areas may appear slightly flushed or pink afterward, but this is an indication that the skin’s healing process has begun. Most men and women who undergo micro-needling treatment are able to return to normal activities immediately. Results may vary, and it may take more than one treatment to achieve optimal results. During your consultation, our medical team will let you know what you can expect. Contact Plateroti Dermatology today to schedule a consultation and find out how micro-needling can create visible results and continuous improvements to your aging or damaged skin.